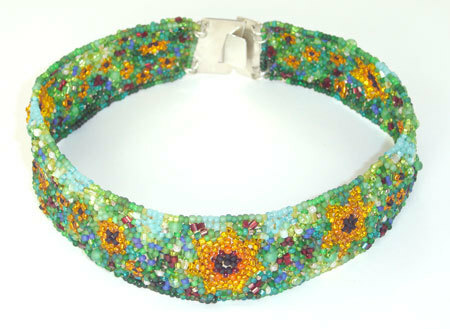 I have been seduced by the world of beads and their possibilities! My Gemscapes have been created out of years of passion, practice and study. The time has gone quickly with wonderful creations as my result! The techniques I use evolved from intricate bead-stitching methods. I launched into exciting exploration, teaching myself new methods and experimenting with beads of different dimensions and mediums. 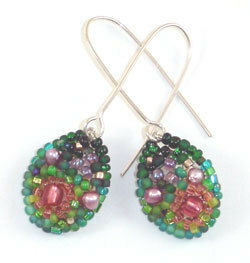 My pieces are constructed in my light-filled, home-based studio, surrounded by lots of beads and inspiration. That I live in a beautiful place is not lost on me, and finds it's way into my creative expression. Commissions for custom pieces are especially delightful, as I get to create something wonderful for a particular person. Information about what is loved can only contribute to an even better result! Why Gemscape? The name Gemscape evolved from a desire to title this unique form of creative expression with a descriptive name, a catchphrase that would encompass both the wearable and non-wearable pieces. Gemscape is a play on landscape and gems. 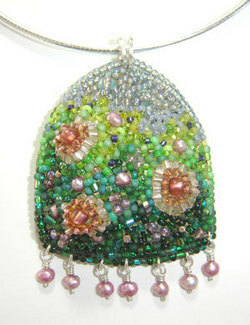 Each Gemscape is delicately woven of pearls, gemstones, Swarovski crystals and various glass beads. Often, especially in the case of the wearable pieces, a sterling silver framework is used. This art form is a satisfying combination of many different disciplines all rolled into one: the colour of painting, the three dimensional form of sculpting, the intricacy of weaving/textiles, and the exquisiteness of jewellery-making and adornment. 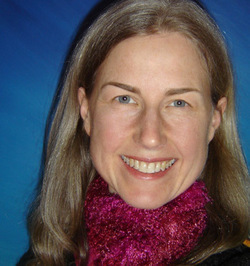 Among other interests, Titania is also a busy homeschooling mom, reads Tarot, trains in TaeKwonDo and loves to garden. 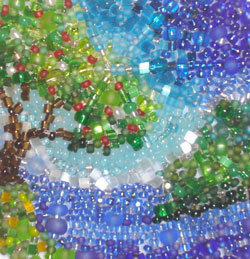 You can see more of this Bowen artistâ��s work at: www.titania.ca.